She used to be his. Now she’s about to marry another man. 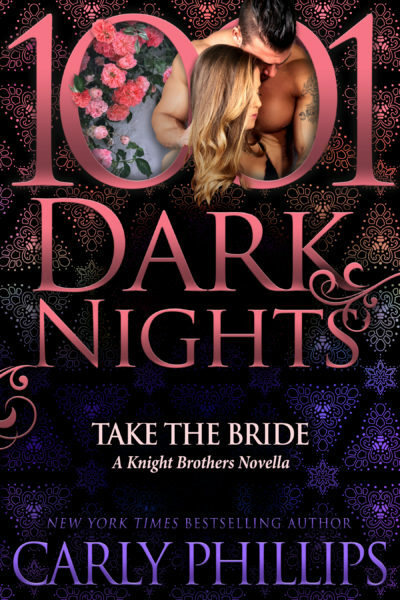 Will he let her go … or will he stand up and take the bride? Ryder Hammond and Sierra Knight were high school sweethearts. Despite him being her brother's best friend, their relationship burned hot and fast . . . and ended with heartbreak and regrets. Years later, she’s at the altar, about to marry another man. He’s only there for closure, to finally put the past behind him. But when the preacher asks if anyone has a reason the couple shouldn’t wed, she turns around and her gaze locks on his. Suddenly he’s out of his seat. And ultimately stealing the very pissed off bride and takes her to a secluded cabin. He wants one week to convince her they’re meant to be, to remind her of the fiery passion still burning between them. When their time together is up, will she walk away and break his heart this time, or will he finally have the woman he's wanted all along? NOTE: Available on Amazon and Amazon paperback only for first three months (90 days) before being released wide to all retailers.